lines and arrows to represent relationships and sequence of steps. 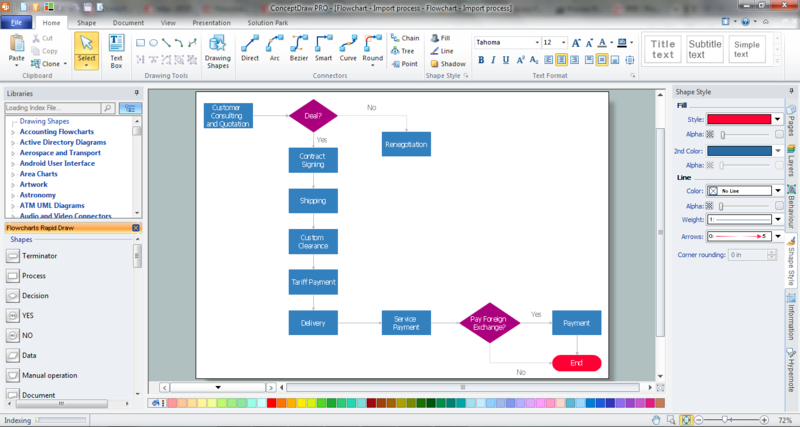 It is incredibly convenient to use the ConceptDraw DIAGRAM software extended with Flowcharts Solution from the "Diagrams" Area of ConceptDraw Solution Park for designing professional looking Process Flow Charts. 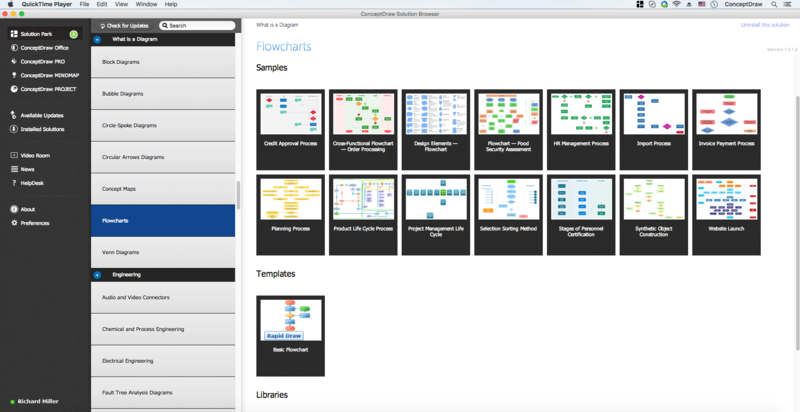 Flowcharts Solution offers 2 libraries with variety of commonly used process flow chart symbols - boxes, circles, diamonds and many other symbols which are used for easy construction attractive and visual Process Flow Charts. 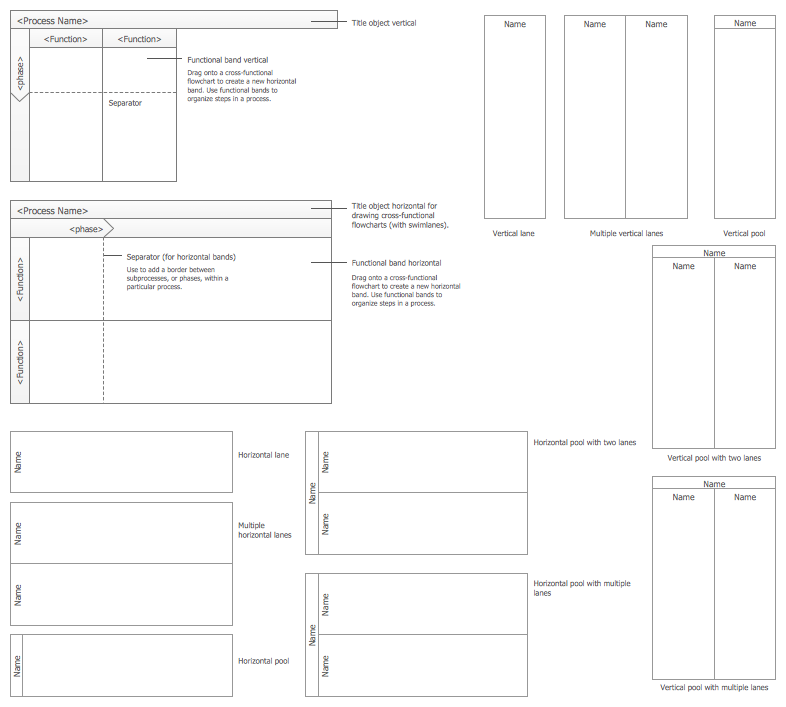 You will only need to drag ready objects from the libraries into your document, arrange and connect them according to your flowchart idea. This sample was created in ConceptDraw DIAGRAM software using the process flow chart symbols from the libraries of Flowcharts Solution and illustrates the import process. An experienced user spent 5 minutes creating this flowchart, thanks to colorful set of advanced flowchart symbols. 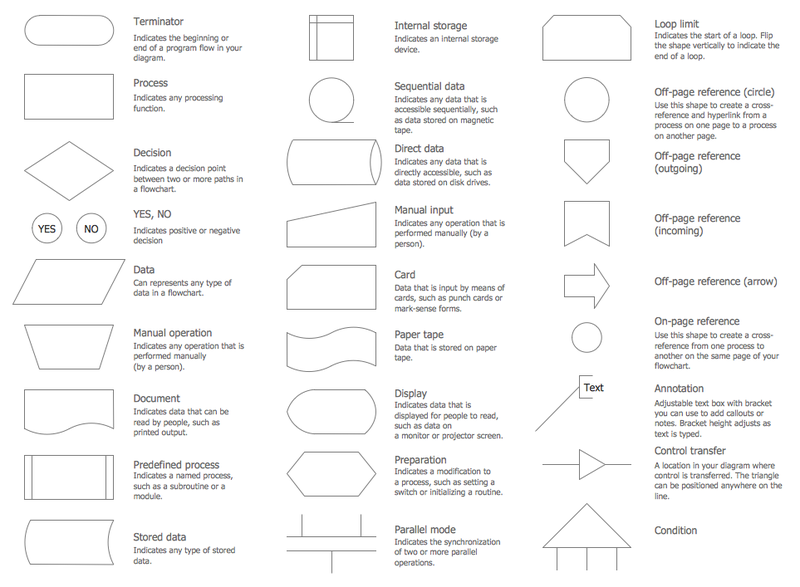 Use the process flow chart symbols from the Flowcharts Solution libraries to quick and easy design various Process Flow Diagrams and Charts. Accounts Payable Process Flow Chart - ConceptDraw DIAGRAM v12 diagramming and vector drawing software extended with Accounting Flowcharts Solution provides the useful tools that will help you create easily and quickly. The Accounts Payable Process Flow Chart is very popular and widely used type of accounting flowcharts. Now their designing is simple thanks to the Accounting Flowcharts Solution that provides the Accounting Flowcharts library of predesigned commonly-used shapes and a set of templates and samples. An onion diagram is a kind of chart that shows the dependencies among parts of an organization or process. The chart displays items in concentric circles, where the items in each ring depend on the items in the smaller rings. The Onion Diagram is able to show layers of a complete system in a few circles. But how to create Onion Diagram? Now, it's very easy thanks to the ConceptDraw DIAGRAM v12 diagramming and vector drawing software extended with Stakeholder Onion Diagrams Solution from the Management Area of ConceptDraw Solution Park.